Wizzle: Get free WZI tokens from the banking solution platform! If you’re a noob in this domain, take a look at Wizzle fo’ shizzle! Indeed, the company from the Netherlands plans to bring blockchain technology and crypto-currency to the masses. And they want to make it fast and easy to buy, sell and transfer between digital currencies and fiat. So is it another exchange? Not really, it’s a banking solution. Every time you’ll their services, you’ll automatically earn WIZZLE Infinity tokens: WZI. And you’ll be able to use these tokens in your future transactions. Also, if you want more information, take a look at their whitepaper. The WIZZLE Infinity tokens, or WZI tokens, are based on the ERC20 standard. And the total supply is 4,450,000,000 WZI tokens. And what can you do with them? First of all, you can redeem them to use the company’s services. And you can also use them to purchase services on partner websites. Also, holding WZI tokens gives you the possibility to get notifications about special offers. But wait, there’s more! If you’re a token holder, you can buy and sell assets on the platform, for free. Yes, you read that right: There are zero transactions costs and zero provision! Finally, you’ll be able to trade them, just like any other ethereum-based token. And the value of WZI is expected to increase overtime, as more and more features become available on the platform. How to get the free WZI tokens? Nothing complicated here: Click on this link. And then click on the flashing Join Our Airdrop button. On the pop up, fill in your email address and an ethereum address. While you can accept to subscribe to their newsletters, it’s not mandatory. So you can just click on Register. You’re almost done! But there’s one more action to complete: You must validate your email address. So you should use a valid email address, BTW. And you’ll receive an email with a link to click. After your confirmation, you will receive your free WZI tokens during the first week of February on your registered ethereum address. Also, you can join their referral program, to get even more free WIZZLE Infinity tokens! There’s a Join The Program button, at the bottom of the registration pop up. And all you have to do is to click on it and fill in your full name, email and ethereum addresses. Check the box to accepts their T&C’s and click on Register. Finally, you’ll get an email with your password. While there’s nothing else to do, you’ll get a link to your Dashboard, which is nice to track your referrals. Boom, you can now enjoy 50 free WZI tokens for each referral! So hurry up and share your unique referral link with as many people as possible! 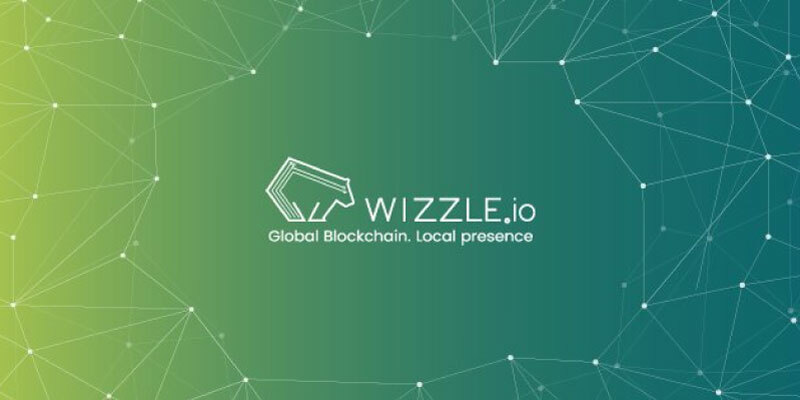 Wizzle is an advanced platform that allows users to easily buy and sell tokens using well-known payment methods from around the world. And they're giving away free tokens. Get yours now!